If you’re thinking of putting your home on the market, you want it to look its very best for the photos. Pictures are the first thing a potential buyer will see – and the more viewers you can tempt through the door, the more likely you are to get the sale you want. Get a professional in to take the photos. If the estate agent insists they will take them themselves, say you want to check the quality before they’re used. Your home is likely your most valuable asset – you want it to look amazing! Clutter is the enemy. Cluttered rooms automatically look smaller and your stuff everywhere makes it harder for someone to see how they could make the property their own. Consider hiring some self storage and have a good clear out. You don’t need to get rid of everything, so there’s no need to be sentimental – we’ll keep it safe and sound, while your home dazzles potential new owners. Empty rooms don’t work. Don’t overdo it on the house decluttering – furniture helps people to see the dimensions of the room and allows them to imagine the room being used. Keep it neutral. You may like bright colours or bold patterns, but they’re always divisive! Make sure things are as neutral as possible, so give things a lick of paint – it doesn’t have to be magnolia but something uncontroversial! Get your Mrs Hinch Follow the Instagram star’s lead and make sure the house is spotless. Stage the look. Think of everything as you look around – is it giving the impression of a happy, healthy home? make sure your dining table is set for dinner rather than piled high with homework. Have kitchen work surfaces as clear as possible – hide things in cupboards for the photos if needs be (but consider self storage for the longer term while viewings take place)! Put toys away and switch off TVs. Move everything off bathroom surfaces – go for the hotel bathroom look! First impressions count. People want their home to look attractive from the outside – so it’s vital your photos show your house looking its best. Make sure rubbish and bins are hidden away, lawns are neat and trimmed, pathways are weeded and paintwork and doors have been freshened up. Book in the good weather. Of course, we jest. We live in the UK so the weather at most times of the year is anyone’s guess. But obviously exterior photos tend to look better against a blue sky, and natural light will help rooms look bright and airy. Bear in mind times of the day when the light might be starting to fade and consider when the sun hits certain rooms in your home. Follow those steps and you’ll have sold your home in no time at all. And, when you’re ready for a removal firm, give us a shout! 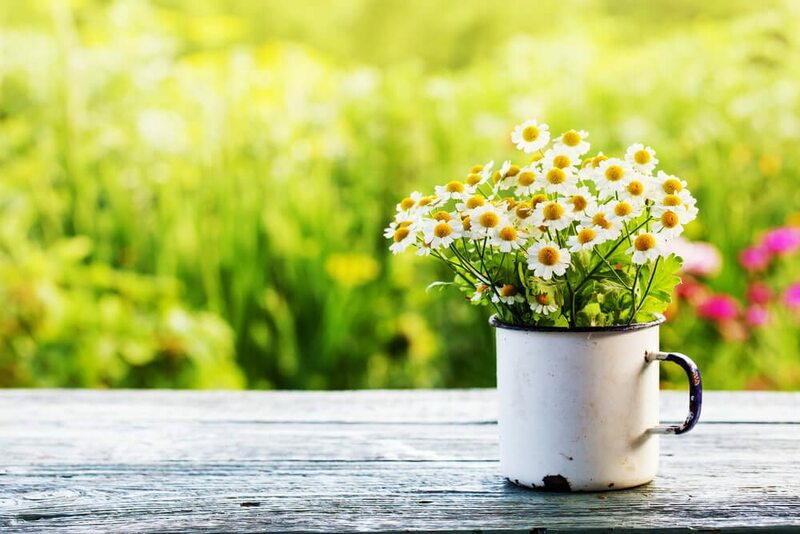 Spring cleaning, fresh starts – this time of year is all about taking a look at things and making sure they work for you, as well as at opportunities for growth and new beginnings. Maybe that means a house move is on the cards – or perhaps it’s your business which feels like it’s outgrown its current premises. 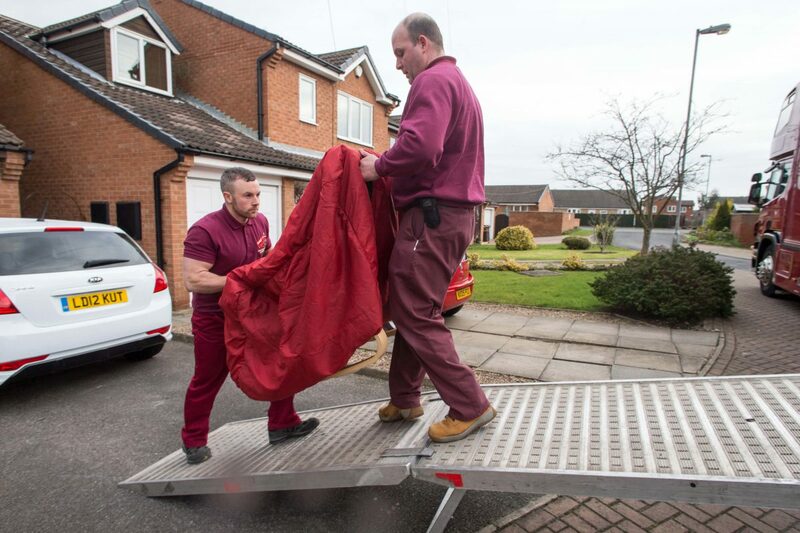 Here at Holdsworths we can help with every type of removal – we understand it can seem daunting, but with almost 100 years of experience, we’ve seen and dealt with every situation, and safely moved thousands of people into their new place. If you’re considering an office move, what do you need to consider? Make sure you give yourself plenty of time to plan the move. Find a removals company you trust at least three months in advance. A good removals company will give you a project manager to oversee the move, giving you one point of contact to liaise with and ask questions of. Make sure your removals company is a member of the BAR (British Association of Removers). This gives you peace of mind that they adhere to a strict code of conduct and will provide a high level of service. Use the time ahead of the move to begin the great office declutter. There will be things which are no longer needed – and it’s pointless taking them with you. It may feel difficult to make the time, but it will need to happen so get everyone to block out a couple of hours in their diary one day and all roll your sleeves up! If you’re getting rid of office furniture or IT equipment, it’s important you remember any legal and environmental responsibilities. IT equipment will need to be properly disposed of to ensure confidential data is not accessible. For other items consider a staff sale or charitable donations. While decluttering you’re bound to find confidential documentation which either needs disposing of or keeping securely. If you want to dispose of it, we can offer a shredding service, which is quick and easy and saves you huge amounts of time and worry. We can also help with document storage if required (or long or short term storage of other items). Research how long documentation needs to be kept, from a tax perspective but also GDPR. You can hold on to things too long! As a removals company we would offer advise on processes to ensure the move is as straightforward as possible – for example sequential packing of files and stock, proper labelling systems and room planners. All these things will make it significantly easier at the new premises to get you up and running in as short a time as possible. Everyone worries about the moving of IT and we can offer advice on how best to move equipment, ensuring everything is properly labelled and packaged and transported with the utmost care. We can then make sure that IT is the priority at the new premises, so your IT experts can get you reconnected and working asap. So, if this Spring sees a new start for your business, give us a call. We’ll get you from A to B and back up and running before you can say “now where did we pack that kettle?”. From all at Holdsworth’s Removals of Leeds, we wish you a Merry Christmas and a Happy New Year. 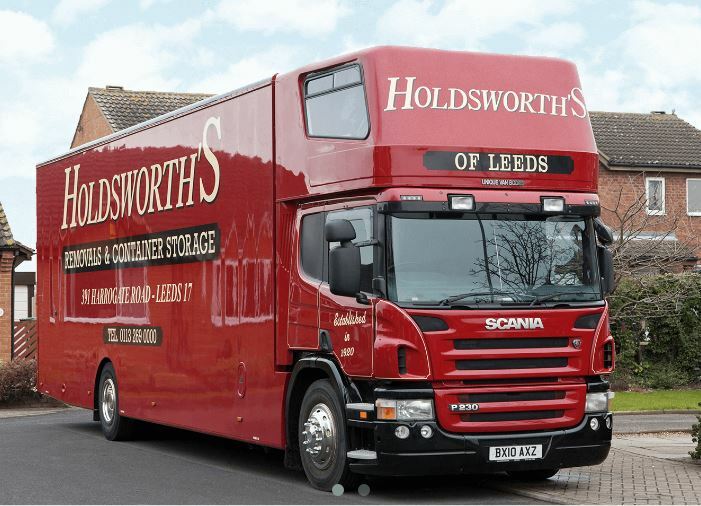 The new year will lead Holdsworth’s into its 99th year operating across Yorkshire. Established as a removals company in Leeds in 1920, we are proud to still be offering a first class, professional removals service going into 2019. If you are interested in a removal in 2019 then please get in touch, but please also bear in mind that our office closes on Friday 21st December and will reopen on Wednesday 3rd January where we will be ready to help with your removal. 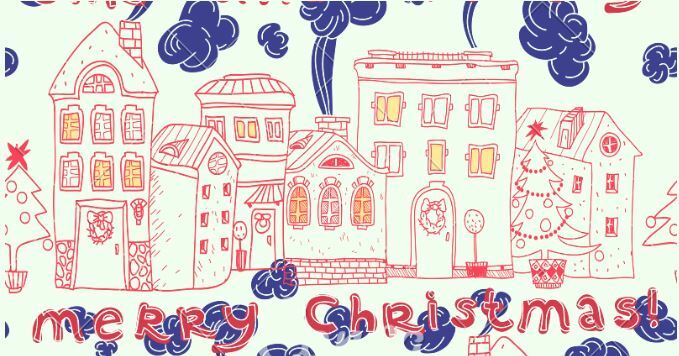 We hope you enjoy the festive period. This week officially brought the end of British Summer Time. This results in dark mornings as the evenings begin to grow dark towards the shortest day of the year, also known as the Winter Solstice, on the 21st December. Winter can often be a bleak period of inactivity. But there is plenty of opportunity of how to spend the shorter days and darker evenings. Here are some hints from Holdsworth’s. The peak period for the removals industry is the summer time as movers try to fit their removal into the long sunny days and school holidays. But inevitably, house moves continue into the winter and the removals industry continues. The winter is a fantastic time to either research your dream house move and look into a brand new area that you might desire. Or if you have an immediate removal on the cards, there is also more of a likelihood of finding the removal company that you seek. In the modern era, identity theft can be achieved using the smallest amount of personal information. If you work from home or have filed away confidential information, it is easy for this to become a daunting mountain of paper. But rather than throwing these in the bin and leaving your confidential waste open for somebody to pick up, consider a paper shredding company to securely destroy your documents. This not only protects your confidential waste but helps recycle the paper as many paper shredding companies recycle their waste. The shorter days and longer nights certainly mean that we spend more time indoors during the winter months. This provides an opportunity to have a clear-out to declutter your home. Whether it’s before Christmas when you inevitably accumulate even more stuff, or tackle it in January after the accumulation of more stuff has happened. Having a clear-out and decluttering is often a bit of a daunting task. Whether it’s the loft, the garage or you simply have left it a little bit too long, it takes a bit of ruthlessness and organisation. But if there are items, collections or memories that you cannot be so ruthless about, container storage and self-storage options can help you achieve you decluttering goal while keeping your belongings safe and secure. When it comes to the organisation, simply set out boxes for keeps, the tip and for storage and get stuck in! A home removal can be a tough time for anyone. But for a family with children there is another level to think about and that is the effect that moving home can have on your children. But for all the worries regarding a house move, it is also an extremely exciting time in your life and that can be transferred to your children. So here are some helpful hints on making a removal an exciting time, rather than worrying time, for your kids. A daunting task but if you haven’t signed up for a packing service from your removal company then there are great ways to make this an exciting task for your kids. First things first are to get them involved. Give them the responsibility of labelling the boxes and let them decorate them as they see fit. This takes what might be a boring task for you or your partner and making it a fun one for you children and yourself. Let them also have the freedom to pack their own “My Stuff” box but ensure that they definitely pack what they need – it’s worth remembering that a removal is great time to declutter. For larger items in the home it might be worth arranging for a babysitter or relative to take care of the kids to ensure that they’re out of the way. As it moves closer to the removal day, buy a special bag for each of your kids for them to carry anything especially important to them, either a toy or book, so that it is close to them leading up to and on the move day. Equally, pack a box of essentials for the day of the move so that all the stuff you need on the first day/night in your new home are to hand. On the move day, make sure that you keep in touch with your removal company so that you are assured at what they’re doing and can focus on the children. Getting the kids involved with the removal crew can be a great way to make the day exciting for them. Using gimmicks such as badges can be a great way of doing this. If you are staying with relatives or in temporary accommodation then fit this in as part of the adventure and plan your first night so you can all get settled early. Carry out your first night plan so that your kids have an exciting and fun night in your new home. Make it an adventure by getting them to unpack a special box to themselves or by hiding things around the house so they can explore. But make sure that you make your kids’ bedroom as homely as possible so that they can sleep easy on their first night. Latest data from the Land Registry has shown that house prices in Yorkshire are faring well compared to the previous year. House prices increased by an average of 2.9 per cent across the county between May 2017 and May 2018. Richmondshire, towards the north of the county, saw the largest increase with values in the area increasing 8.6 per cent with an average property price from £192,715 to £209,368. The area, which includes the market towns of Richmond and Leyburn, was already abundant with attraction with large parts of the Yorkshire Dales National Park straying within its borders. It is its transport links however, that can be attributed to the boost thanks to the upgraded A1 which allows quicker access to Leeds and Newcastle thanks to its extension to three lanes. The district of Ryedale also saw a value boost from £211,294 to £229,399 thanks to growing popularity. The beautiful countryside’s of the nearby North York Moors and access to the coast already acted favourably but links to York and Leeds by train and car help it attract commuters. A surprise increase was Rotherham in South Yorkshire which saw a 7.6 per cent rise which was attributed to higher value homes hitting the market, especially in surrounding suburbs. There are also good increases in Barnsley (5.5 per cent), Calderdale (5.1 per cent), Leeds (4.3 per cent) Scarborough (5.7 per cent), Selby (5.7 per cent) and Sheffield 6.6 per cent). The only district that lost value was surprisingly York with a reduction of 2.1 per cent. This is a surprise for a city named as the Best Place to Live in Britain by The Sunday Times. But this has been explained as a balance off following a particularly strong 2017. The most expensive place to by in Yorkshire is Harrogate with an average price of £280,334 and the cheapest is Hull where the average price is at £106,918. The latter could throw up opportunity for buyers looking build upon Hull’s success as UK City of Culture in 2017. The UK is in the midst of its warmest summer in years and with the heatwave rolling on, it Brits are already proclaiming it “too warm”! High temperatures are unfortunately affiliated with loss of life with the hot summer of 2006 showing an estimated 75 extra deaths per week for each degree of temperature increase. June proved to be one of the hottest since records began in 1910 and July is set to follow that trend but it is in our homes where we can make a real difference. Public Health England suggests that one in five homes are prone to overheating with some properties more vulnerable than others. Top floor 1960s flats are most prone to overheating with research suggesting they can become six times hotter than ground floor flats, and nine times warmer a Victorian terrace. Here are our handy quick hints for cooling your home down. Research suggests that we can block out 30% of unwanted heats by blocking out sunlight through our windows. Don’t be afraid to close blinds or curtains during the day to block out this light as an easy way of reducing the temperature. Remember that dark fabrics absorb heat so using light-coloured curtains is better. Opening windows when the air cools down outside is a great way of recycling air but ensure that your property is secure. Fans can just as easily make things worse by rotating warm air around the room. One method is direct fans towards the window rather than yourself to move the hot air away from you. Another hint is putting ice in front of the fan to create cool air. Keep lights off during the day to stop bulbs creating heat and also avoid long periods of cooking with ovens or slow cookers as they create more heat. Consider more summer friendly food such as salads. Insulation is often seen as a long term solution to keeping your house warm during the winter and reducing heating bills. But good insulation can also work by keeping heat out once you have a cool room. Remember to concentrate on keeping yourself cool and hydrated as well as the rooms in your home. Hot weather can cause a variety of changes to the human body and ensuring your body keeps at a cool temperature is the main battle. Also make sure you keep your food safely secured in fridges and out of sunlight. Twelve months ago, the Holdsworth’s Removals blog covered the effects of the summer period on the removal industry as a whole and, more importantly, each individual move. The summer period continues to be the busiest for removal companies and 2018 is likely to prove no different. Previously we suggested that being organised in advance to your move, being prepared for hot conditions on the day of the removal and plans for students should be a forefront of thinking. This is still advice that we would adhere to. 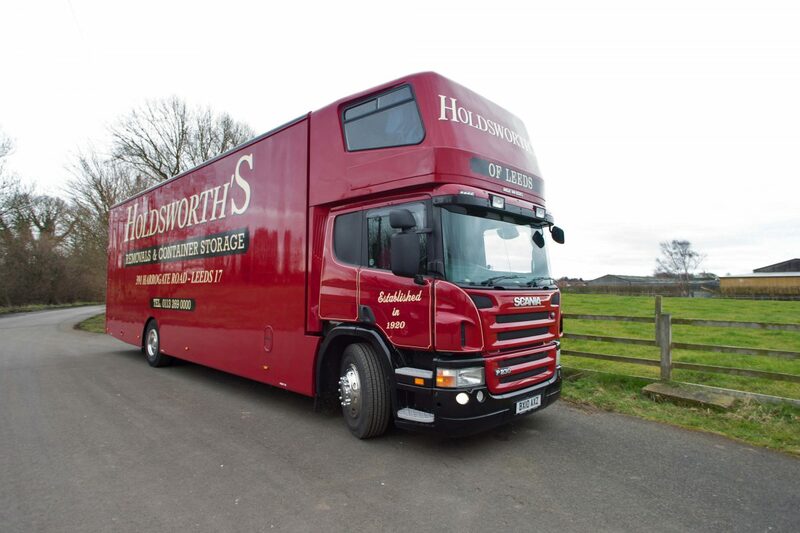 But despite being nearly a century old as a removal company, Holdsworth’s still continue to learn, and here are some more hints and tips if you are planning a move this summer. Whether it’s to save money or simply to get rid of some unused belongings, a removal is the perfect time for a clear out. The summer months are the ideal time to move some things on to a new home as the car boot sales and garage sales all kick in across the local area. It is a fun way of shifting some belongings that you no longer need, might raise some spare cash and will save on time or money on packing. Previously, hot weather was key to the discussion as the UK was in the middle of a heatwave. This means that our removal crews often opt for shorts in the hotter weather and may require more frequent hydration breaks. But in the summer of 2018 we have already experienced hot and humid weather which has led to flash flooding and aggressive storms across the UK. No summer in Leeds, Yorkshire or the UK is ever predictable so keep an eye on the forecast so you can plan for whatever the weather throws your way. Despite saying it last year, it is as relevant as ever this year. It may be possible to book your removal days in advance for the majority of the year but the summer rush makes this unlikely. Getting a quote for your removal as early as possible will give you the best chance to move on the day that you want / need. Then stay in touch with your removal company and solicitors to ensure availability and also factor in any surprise changes to your move day.